Handsome Max Is Looking For His Forever Home. Say Hello to Max. Age. 1 years old Birthday. 14th March 2017 Breed. French bulldog Appearance. Pied About Max. Max joined his foster family and their dogs a few months ago and has undergone a thorough assessment and he is now ready to find his very own family. Originally from a Romanian shelter. Max has come a long way and we are so proud of him. He can be shy at first but if you give him a chance to settle. he is so funny and such a sweet boy. He is house trained. never messed or chewed anything. Good with other dog..s and currently getting on with his foster cat .although will chase at times. He has been in a vet clinic environment with his foster mum at work. He is fine. happy to mingle with other dog..s and loves to snuggle up on the sofa with his human... He can be left for a few hours at a time. happy to play with my dog..s in the house or just take himself off to bed and sleep. He is a great lead walker as he goes with the dog walkers each day but he has not had any off leash training. The type of home needed. Max needs someone who is understanding and patient and will take the time to get to know him. He is still a young boy and would thrive with someone who would like to snuggle up but also go for daily walks or participate in play time. 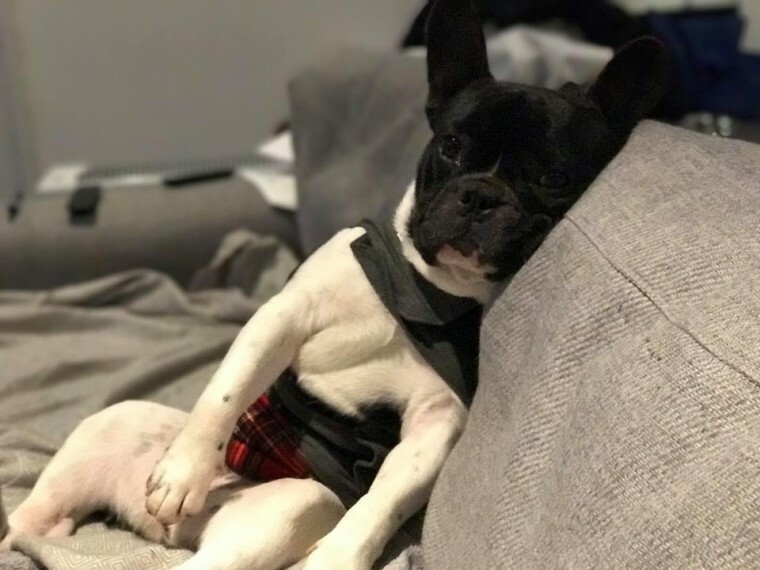 Ideally someone who lives near so I can help with settling him in and be on hand for advice .. An experienced French bulldog home would be preferred. He is neutered and up to date with vaccinations. has a pet passport and is microchipped. Regular adoption procedures to follow. To express your interest please complete a pre.adoption questionnaire. http...www.savasafehaven.com.pre.adoption.questionnaire Any further questions about Max please get in touch.